Mercy Housing and Human Development traces its history to its incorporation in 1996-1997. In 1995 a survey was conducted of residents at Ladnier Homes Public Housing, Gulfport. People living in the Mississippi Region VIII Housing Authority’s housing development were asked to name their needs and desires. They expressed their need for job training and for after-school care for their children. And their dream? Home ownership! In response, Mercy Housing and Human Development was incorporated, and it was recognized by the IRS as a 501 (c) 3 nonprofit organization. A Board of Directors was formed. That first Board and the ones that have continued MHHD’s leadership over the years had people from diverse backgrounds throughout the community, including low-income homeowners and renters. The first two low-income families became homeowners in 1997, and MHHD established its Home Buyer Club to encourage members to become home owners. By 1998, the Home Buyer Club had 23 members. That same year, Mercy Housing became a community housing development organization. Prompted by a shortage of affordable existing houses, it began construction of affordable new homes. As more low-income families purchased homes, MHHD created a Home Owners Club for post-purchase families to help them with home maintenance information and to insure the success of our new homeowners. 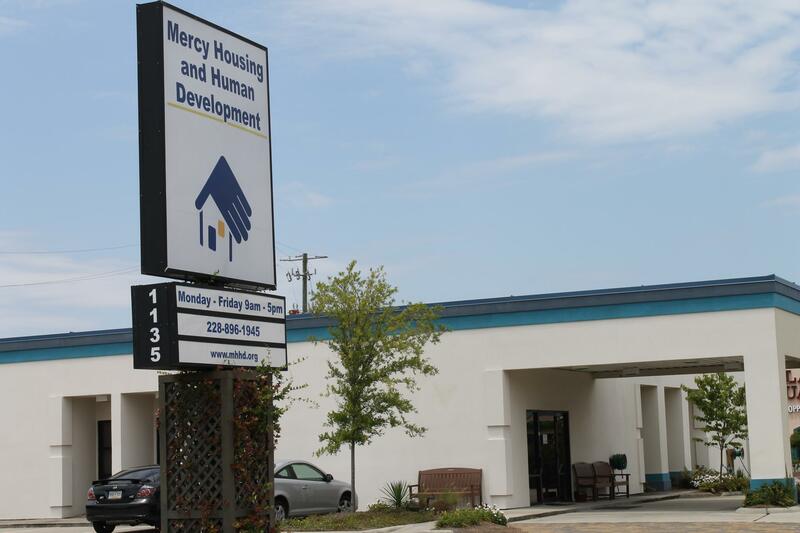 For years, MHHD conducted its programs from rented offices on Ford Street in east Gulfport. After Hurricane Katrina, with growing programs and more staff members, work space became an issue. In 2010 MHHD bought its own building at 1135 Ford Street. Before remodeling could begin, MHHD received help from Mercy Vocational High School volunteers who gave up their spring break to travel to the Coast from Philadelphia, PA, and tackle the internal demolition. Construction work followed, and it was completed in August 2010. The staff moved in, and preparations were completed for the September 21 grand opening and ribbon cutting. Amid the excitement of the building’s dedication, long-time Mercy Housing supporters celebrated the agency’s achievement of the same dream low-income families had shared in 1995. The MHHD family finally had a ”home” of its own.